One of my dear friends is having a baby girl this month and I am so excited for her! When I was asked to bring some goodies to her baby shower I knew that I wanted to make sweet little baby faces. 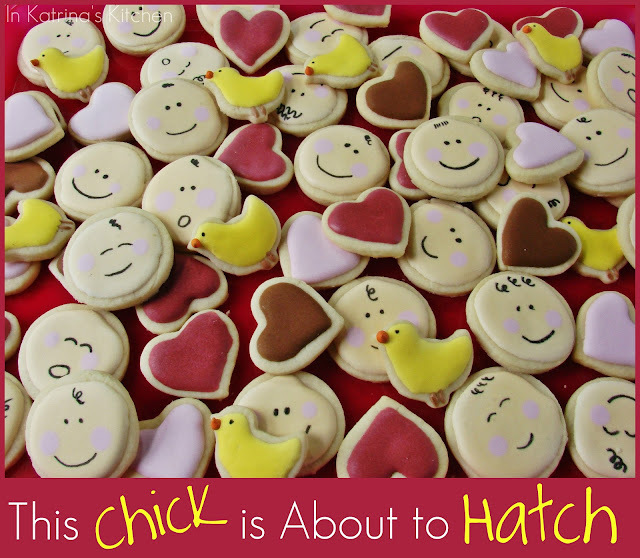 The theme of the shower was “This Chick is About to Hatch.” I planned on making the baby faces and hearts, but the chicks were a last-minute decision…and I loved them. I used mini chocolate chip sprinkles for the beaks. 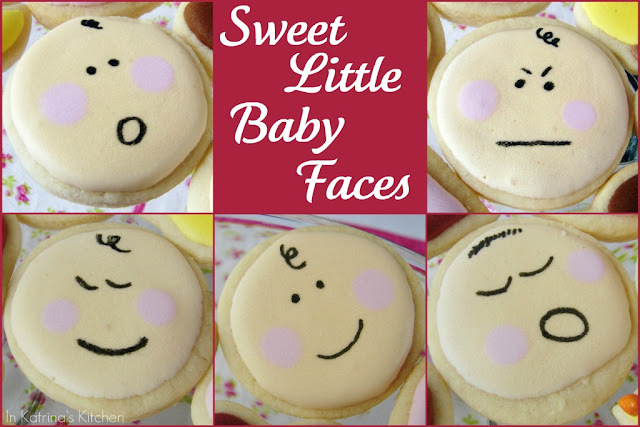 The baby face cookies could not be simpler. 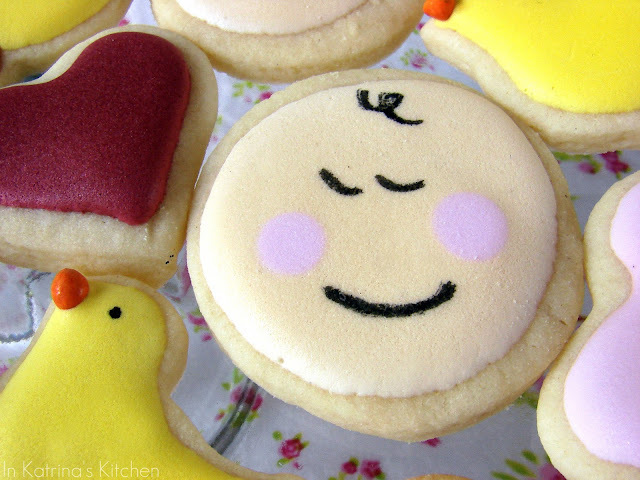 I was inspired by Sue of Munchkin Munchies – I loved how she used edible food coloring markers to draw simple faces. It was fun to get creative and think of all of the little baby faces my little men used to make. I miss looking down into those beautiful blues for hours every day (and night!). 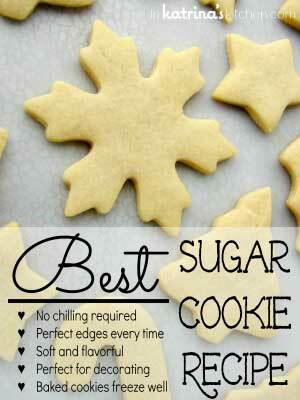 You can find my favorite sugar cookie recipe here. I used Callye’s 20 Second Royal Icing since I was only filling a simple circle and didn’t need an outline and a flood icing. This would make a great present for a new mom too. I’m sure any new mommy would love something cute to munch on during those middle-of-the-night feedings. Adorable, Katrina! What a great idea for a baby shower too. I cannot get over how adorably cute these are:) Your work/talent rocks!!! These are just adorable!! They are going to be a huge hit at the shower! glorious, glorious all the way…. Oh my gosh easy and adorable!!! Your cookies are so adorable!!! Love the little faces! Isn't Sue just amazing!?!? Oh my, Katrina! You've done it again! I just love your work!! Where were you when I had baby boy a few months ago? Huh?! 😛 These are adorable. You're so talented! My recent post Umami Moto Revisited! These are so precious! I love them! My recent post Homemade Play Dough! Just look at those adorable little faces! So cute! How adorable! Love these cookies! 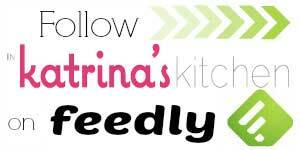 These are so flippin' cute, Katrina! What cute cookies. Your friend is one lucky gal! Tell her congrats and many blessings! AW! I miss those cute little baby faces too! What a lovely gift! Aw so stinkin cute! 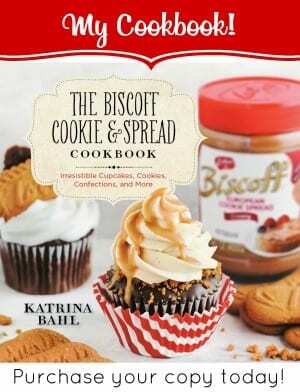 You make the most adorable cookies and desserts, I love it! HOLY MOLY I GOT IT TO COMMENT! WOO HOO FOR ME!!! OMG, these are so so so CUTE! 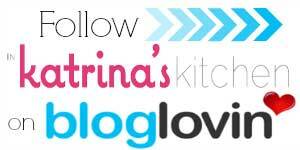 You are so creative, Katrina! Lovely post! awwww, they're so sweet !!! OMG these are the cutest things EVER!! Those are all super cute… I love the chicks!!! These are so adorable. You really did a great job. these are too cute for words! Perfect for the shower! I bet ALL the other girls at the shower HATED you. Heh. You just can't compete with baby-faced cookies with hot chicks 🙂 WELL DONE! That is the cutest idea for a shower. My friends are just starting to have children. I need to begin a list for these things. Love it! Those pink cheeks are so cute! I love them! How cute! 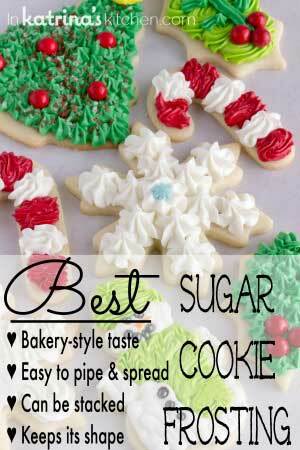 Now I want to make cookies and spend all day decorating them!